View from dining area, to living room to Gulf. 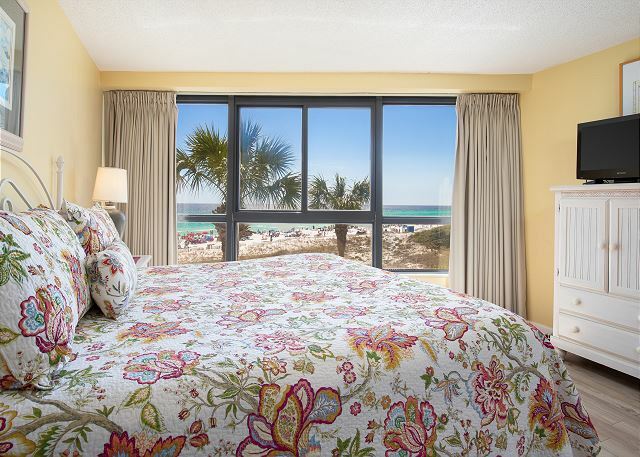 Ahh – Relaxation – that is what you get when staying in our spacious 1 bedroom unit DIRECTLY ON THE GULF OF MEXICO BEACH, just steps out the back door of the building and there it is, the beautiful white sands of the Gulf. 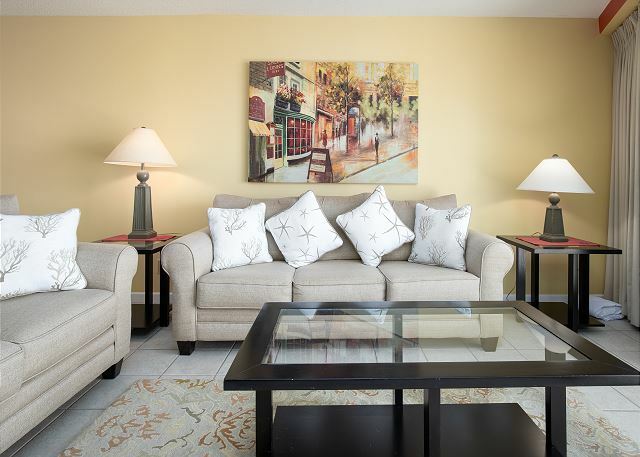 This unit contains 1036 square feet. 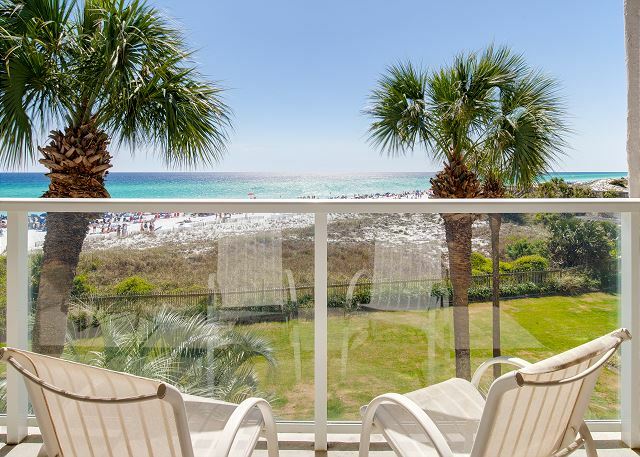 Relax as you look at the Gulf views from all rooms or as you sit on the balcony. 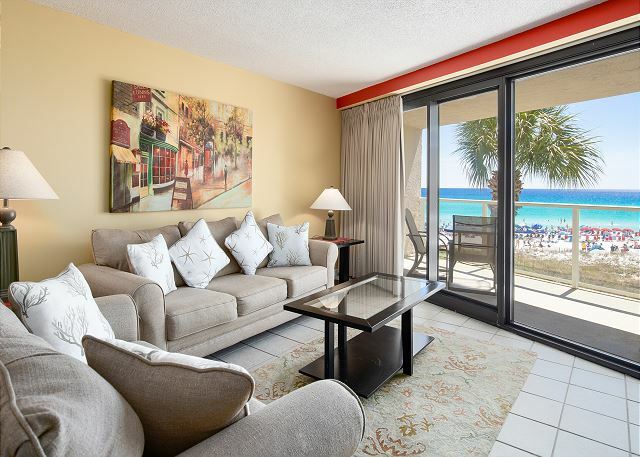 This lovely condo is located on the 3rd floor of the desirable Beachside Two building and offers breathtaking views of the emerald green waters and white sand beaches. 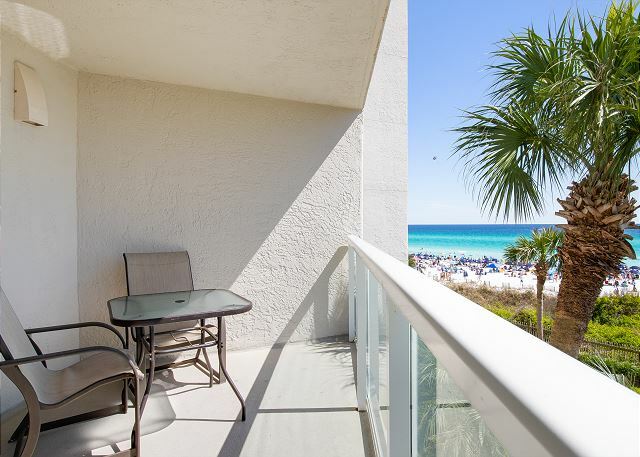 This condo has been professionally decorated and filled with all you could need for your escape to the Sandestin Golf and Beach Resort. 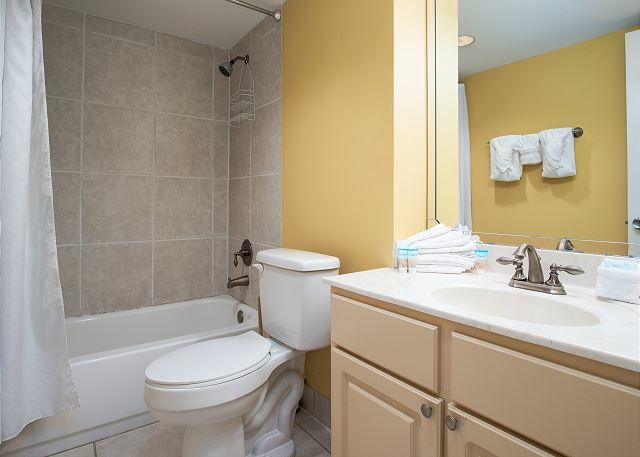 This spacious ONE BEDROOM, ONE BATHROOM unit is well-equipped and has everything you will need for your stay. There is a king-sized bed in the bedroom and a queen sleeper sofa in the living room provides additional sleeping quarters, if needed. 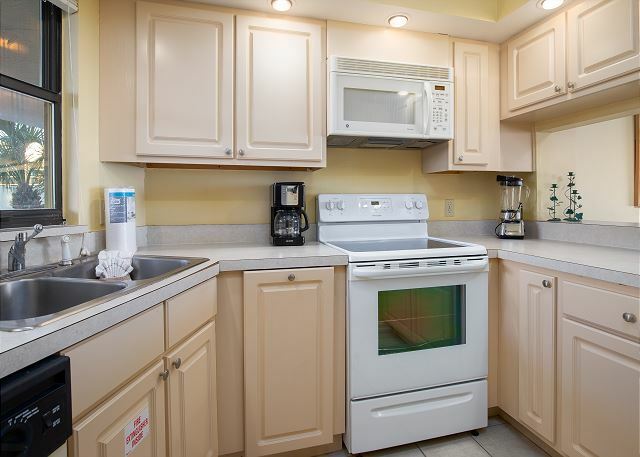 Washer/dryer are conveniently in the unit as well. RESORT TRANSPORTATION PROVIDED WITH THIS RENTAL - . 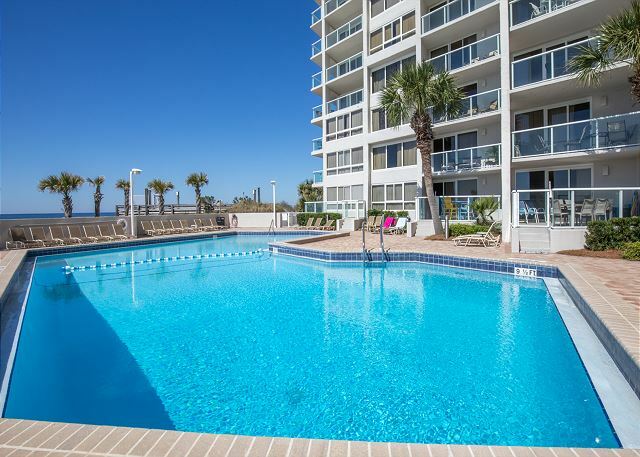 Although shorter than planned due to hurricane Michael, I had a great stay in this condo. It has everything you need for a lovely vacation. Previous reviews had me a little concerned about the trees that are in front of the deck, but with the warm weather just before Michael arrived it was actually nice to have some shade on the balcony..Will definitely return for a longer stay. We are so thankful you see what a great unit this really is. We are also grateful that we were spared the Hurricane Michael event. 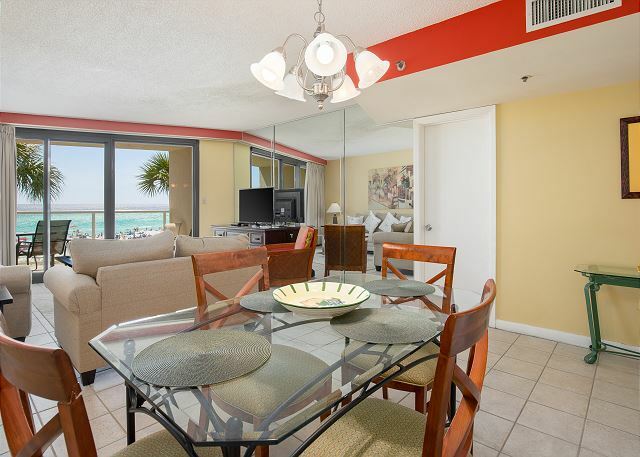 We stayed in another unit in Beachside II for the bulk of our trip. We were having such a great time that we decided to stay an extra day, but our unit was booked. The management company helped us to get this unit for the extra day. Everything about this unit was perfect! We really enjoyed our stay here. perfect view from our balcony. The condo is a little dated but worked for us. Bette from who booked our condo was excellent. she went over and beyond to make our stay excellent! 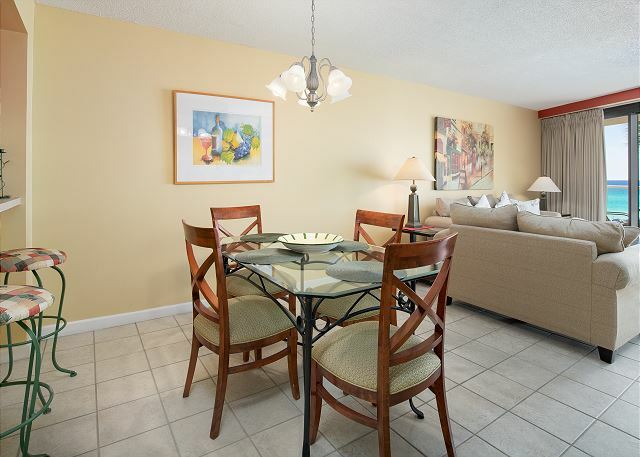 We have stayed at this location several times and in this unit three times--love it!!! Come back again. We love having you. The unit was clean and had beautiful views. Everything that we needed was included. The ice machine and 2 blenders work very well. A/C was better than most of the rentals the past 5 years at BSII. This unit is WEST FACING. This makes a big difference when the sun rises at 6 am. We wanted to spend most of our time on the beach and be able to hear the waves while sleeping. Great to hear, come back often! 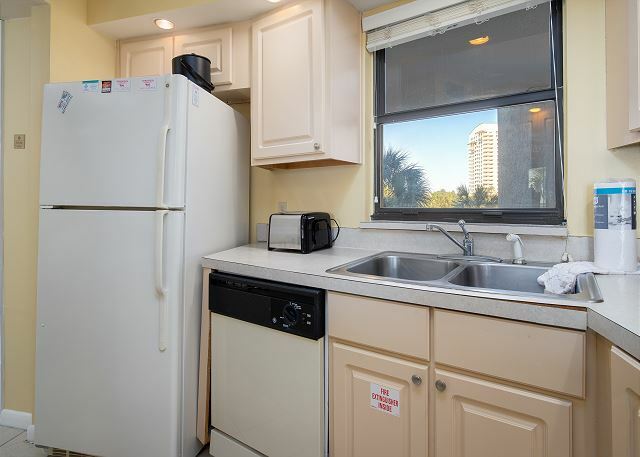 The unit had everything you would need...great location with respect to the beach, shopping, other cities, restaurants... it's quiet at night, not packed with people. 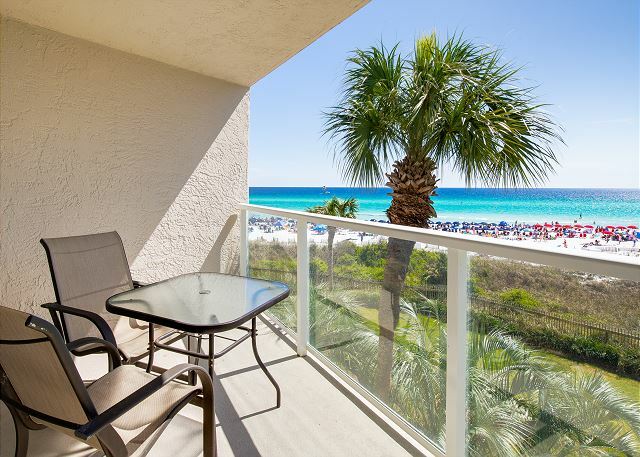 Bette at destin memories / property manager, is the best...very easy to rent said unit and enjoy a nice time at the beach. I personally thank you for your appreciation of my service and so thankful you enjoyed your stay. Come back often. 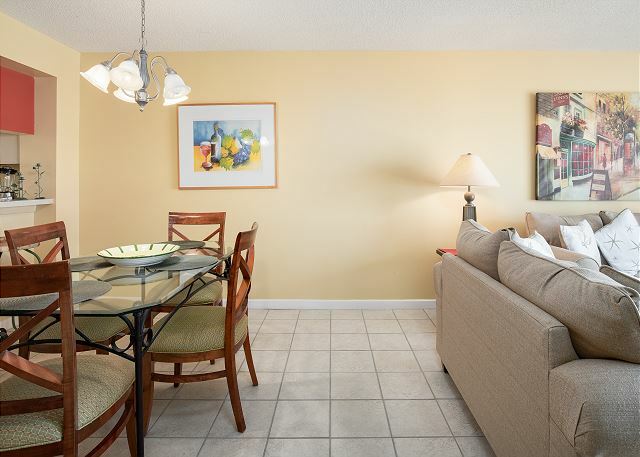 The condo was exactly as pictured. First time being on 3rd floor but it wasn't bad at all especially when it came to waiting on elevators. We never had to call anyone about anything so that was good. Weather not so good but of course that's Mother Nature ! We took the tram over to the village only once. Everything was pretty overpriced there so we didn't go back. 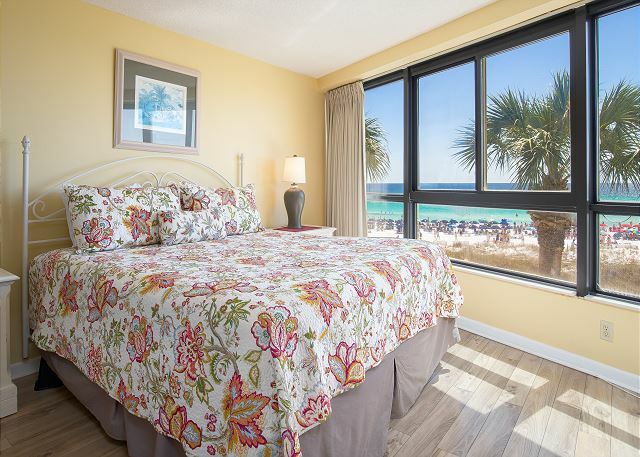 This was our first time to Destin, so we didn't know where we were staying. 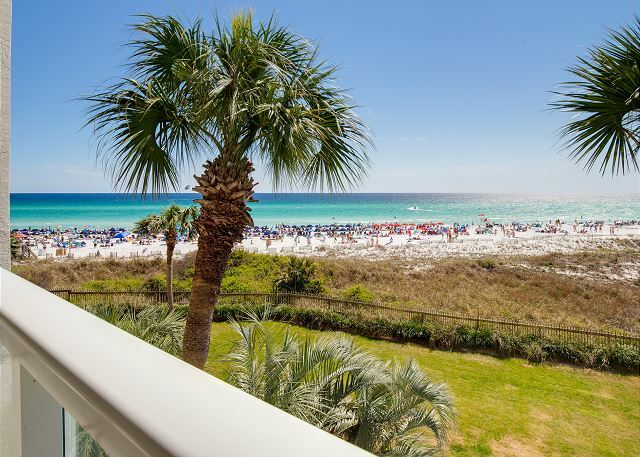 After driving around, we will stay more in the heart of Destin next time. Just closer to more restaurants. This kind of place just isn't for us, but it is a very nice place. 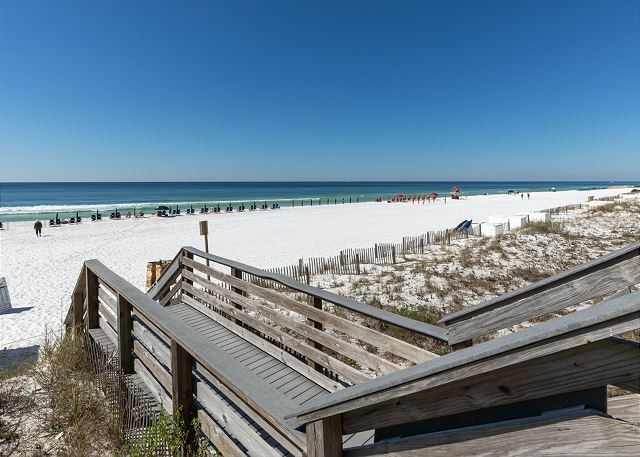 I will say this for Destin, their beaches are absolutely gorgeous. So much cleaner than PCB. The water was perfect. 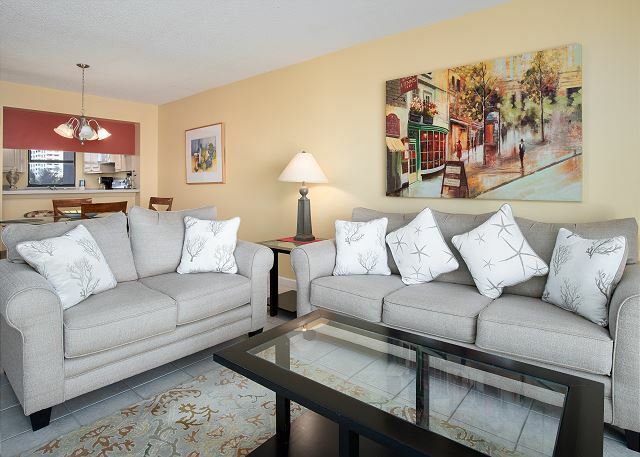 I have nothing negative to say about the condo, but the pillows on the bed sure could use an update! The location just wasn't for us. It is a gated community, and I was under the impression we had access to all the pools, especially the one right next door but that wasn't the case. My husband went over to the Beachhouse restaurant next door at 9pm and it was closed ! Really!! Lisa, I will say that within a 2 mile radius you have Italian, Mexican, Greek, Asian and many many restaurants to enjoy. 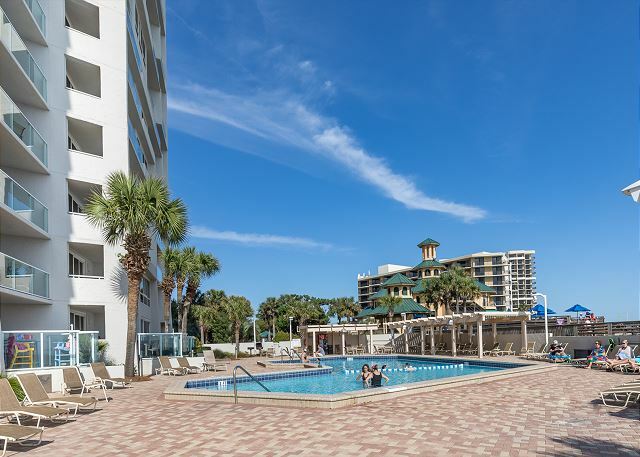 We try to be clear to our guests that the pool for Beachside II is the only pool available, which is good. That means you do not have other guests from other areas creating too many in your pool. We are glad you were pleased with the unit. We have enjoyed vacationing at this location for several years and this year was no exception. 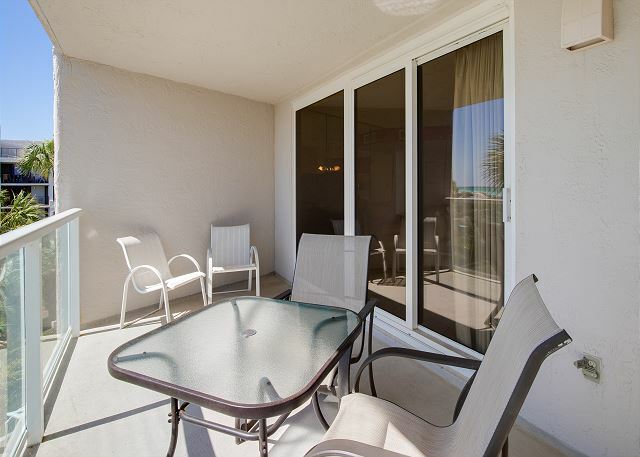 We love it's convenience and being Oceanside with a wonderful view which is why we come back. Awesome that you see its beauty. 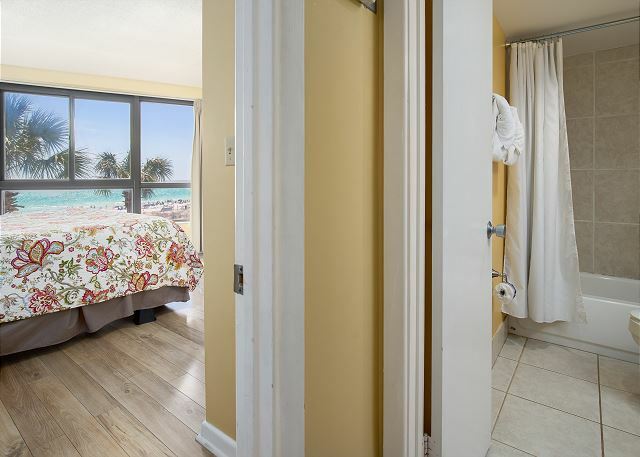 Good unit for couple-convenient to beach. Trees block part of view, but overall, the unit was a good value. 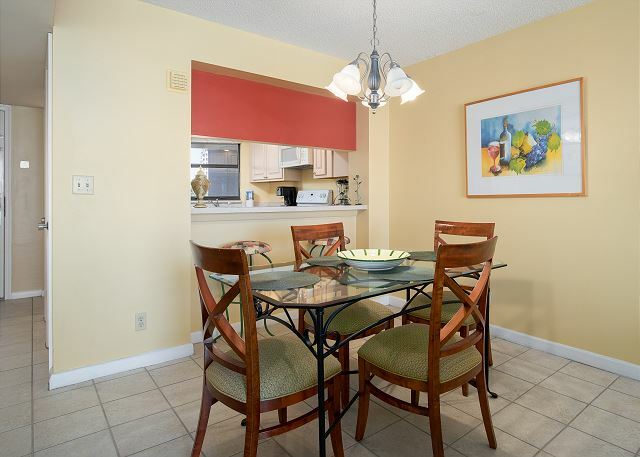 Experience was great, condo needs a little love. And it is getting that love which is all kitchen cabinets and bathroom cabinets are being repainted. That love is coming first of May. So that should restore it to a new loving experience by all guests. Had a wonderful time the 3rd month of my stay. Booked the same 3 months for 2018. February was my second month in a row here. Enjoyed February even more than January and will be staying through March. Nice view of the beach and water. We are so thankful you continue to enjoy your stay!! Great stay. I've already booked next year. Beautiful view of the beach which is the most important thing for me. The amenities are nice. I expect I'll stay here for many years to come. Enjoyed a long weekend of relaxation for a good price. About the same quality as a mid-tier hotel, right on the ocean. We are so thankful and blessed to hear of your positive experience. Please come back. 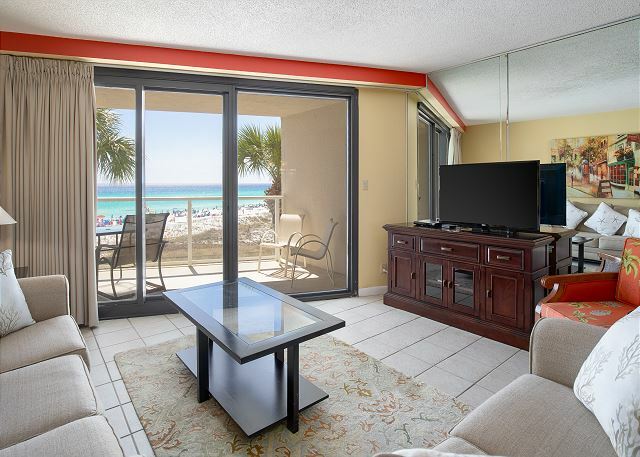 The condo had everything we needed with easy access to the beach. My only complaint is that we weren't able to use the beach umbrella as it was broken. Luckily, we spent the majority of our time at the pool, which wasn't overcrowded. The tram service was a huge bonus, we rode it over to the village every night. 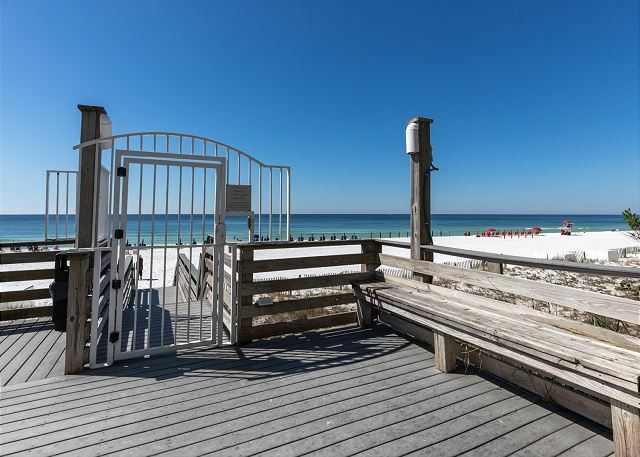 This condo also offers wonderful views of the ocean. Thank you for your comments and for coming and staying with us. We do have 24 Hour on-call available. I wish you would have called to tell us about the umbrella. Had you done so, we would have had one brought to you immediately. We look forward to having you back with us in future.